Our first stop was Katchie Farms' booth. And we made it just in time to score on of the last Turkey Sandwiches which Blondie had with beet chips as part of their $8 lunch special. 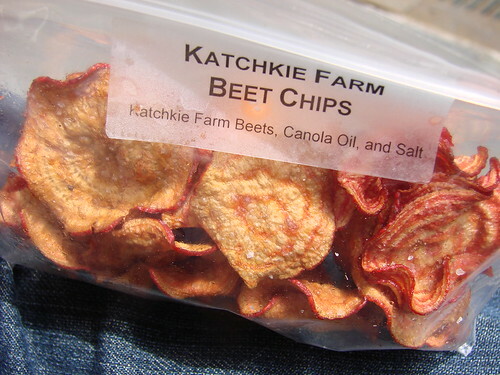 For all you beet haters (ahem, Lawman), these chips--made with just beets, canola oil, and salt--were light, crunchy and delicious. 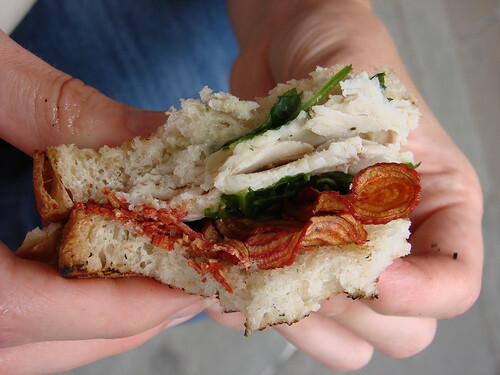 And Beet chips + turkey sandwich = crazy delicious. 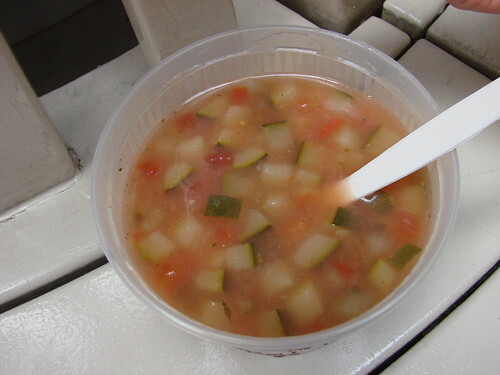 I had their Zucchini Soup ($4) and just the right sort of light and refreshing soup for a hot day. 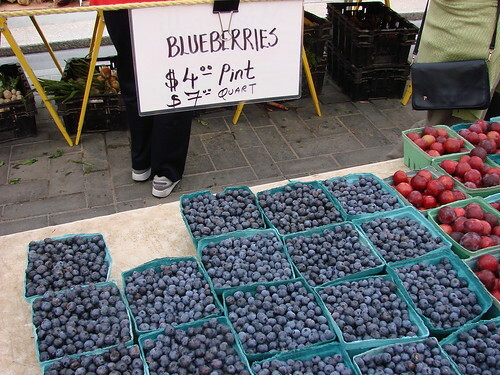 Blondie picked up some blueberries and I grabbed a fresh white nectarine for a healthy sub $1 afternoon snack. 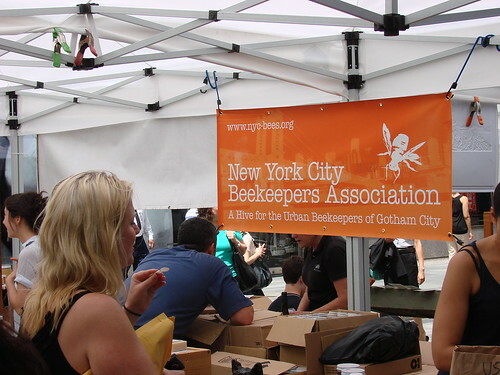 The New York Beekeepers Association had a booth where they were selling local--as in 5 boroughs local--honey. 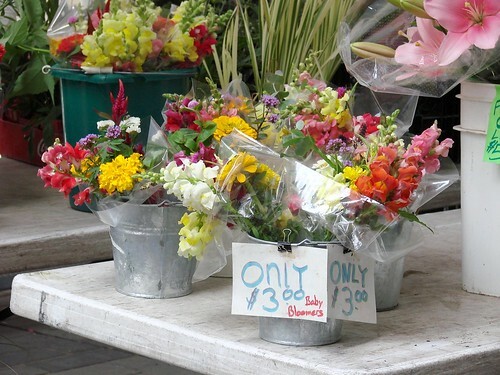 While you're at the market you might want to pick up some pretty fresh cut wild flowers. 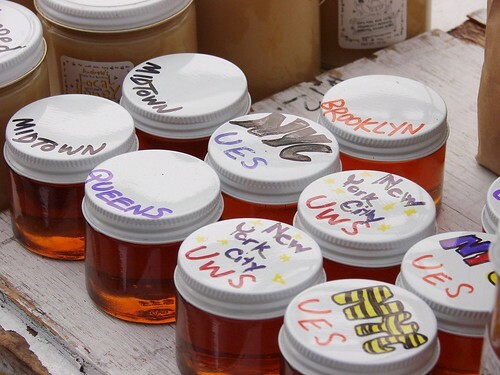 Guaranteed to brighten your office and mood. Sounds like a great place to spend a lunch break! Food and flowers can definitely brighten a bad day at work. I suppose the only downside is that you have to pick a day to go when it isn't raining or sweltering!